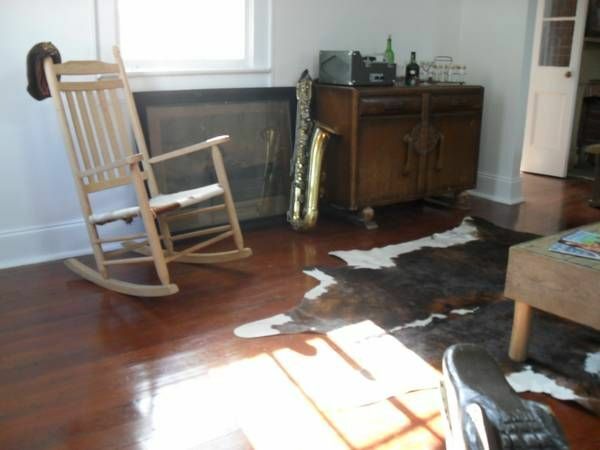 Adorable One Bedroom Cottage Located In The Popular Bywater Neighborhood In New Orleans. Fully Furnished With Queen Size Bed In Bedroom. This Cottage Is Newly Renovated, Central A/c, Hardwood Floors, Beautiful High Ceilings, Ceramic Tile In Bathroom. Tastefully Decorated With Local Folk Art, With A Mix Of Vintage Style New Orleans. Huge Farm Table To Enjoy Breakfast In The Kitchen. Fenced Courtyard To Sit Outside And Drink Coffee, While Enjoying The View. Walking Distance To The Popular Restaurants, Maurepas, Bootys, Satsuma, Markey's Bar, Bywater Country Club And Other Coffee Shops In The Bywater. Walking Distance To The Art Galleries On St. Claude, And Many Of The Bars As Well. Three Blocks To The Marigny Neighborhood. Bus Stops Nearby To Take You To The French Quarter, Or Just Walk, As It's No More Than A Mile. If You Are Driving, There Is Parking Out Front. Ask Me About Weekly Rates As Well. Thanks! Monthly bookings for summer only June-Sept. No pets allowed.